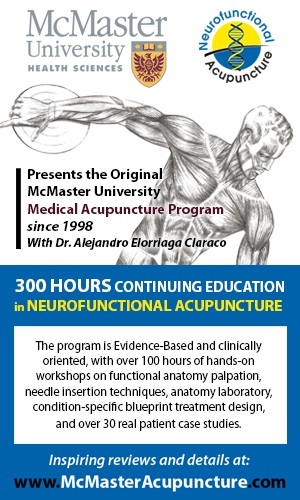 This course will cover the material you need to effectively screen and select patients eligible for manipulation in the Lumbar Sacral region and you will be taught how to effectively deliver manipulation in this area. You will be using the “reversed classroom” to participate in this course. First, you will learn the theory on-line, at home at your own pace. Second, you will come to a weekend intensive course where 80% of your learning will be hands on so that you DO NOT have to listen to theory, you can do, Do DO! You will be given access to 8 on-line units that will cover the theory and background necessary to safely and effectively utilize manipulation. There will be quizzes to assess your knowledge acquisition following every two or three units. Following completion of the on-line module, participants will attend a two-day weekend intensive course. On this course, screening and assessment of the lumbar/sacral region will be reviewed. The evidence-based assessment of the lumbar/sacral region will be illustrated and practiced by participants to help classify patients into a treatment based category. These categories include Directional Preference, Stabilization (hypermobility), Chronic Pain and Manipulation. The focus of the course will be on effective and safe assessment of patients to identify those patients who would most likely benefit from manipulation. Participants will have the opportunity to practice lumbar/sacral area manipulations including supine, side-lying and prone techniques. The techniques covered include but are not restricted to the lumbar side-lying gap manipulation, the Chicago technique, Thoraco-lumbar techniques and Sacral manipulations. Once students have been guided in the refinement of the motor strategies for manipulation, they will be asked to demonstrate competency for each manipulation covered in the course prior to having their skills checklist marked as competent. Audio-visual, demonstration, instructor guided application, peer-review feed-back and case studies will be employed to promote learning prior to assessment of competency. This course will provide 14 hours of direct contact teaching related to the skill acquisition of manipulation.